This seven year old child attended my clinic with a chronic history of eczema since birth. This had led to many stays in hospital with severe open sores and discharges of pus from her skin. One can see how her shoulders are dropping forwards and her spine is in a state of collapse, thus irritating the nerves that supply blood flow to her skin leaving her prone to such a distressing condition. She is in a state of spinal collapse. 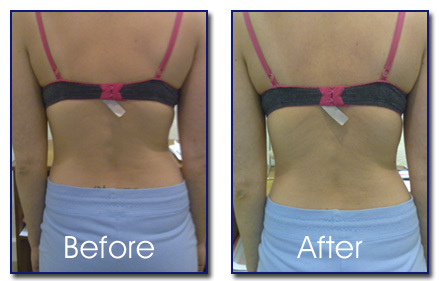 After ten treatments her posture has completely changed. 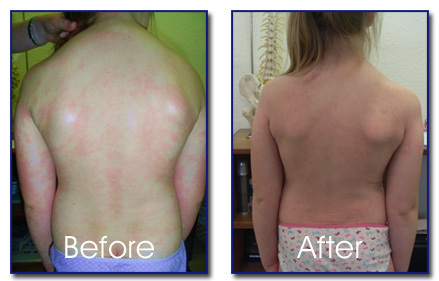 Her eczema has now become dry skin as opposed to the previous distressing symptoms. It has not completely gone but changes are beginning to appear. Her diet has also been looked at as she was eating too many processed carbohydrates. There is still a long way to go but she is starting to stabilise. 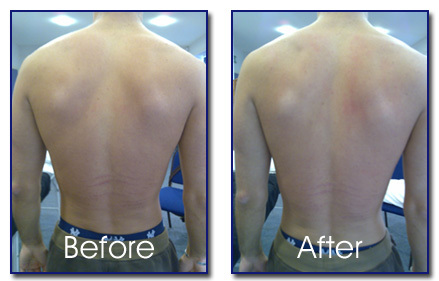 This gentleman attended with severe lower back pain from a lifting incident at work. He exhibits an antalgic (away from the pain) posture with a clear pelvic imbalance. 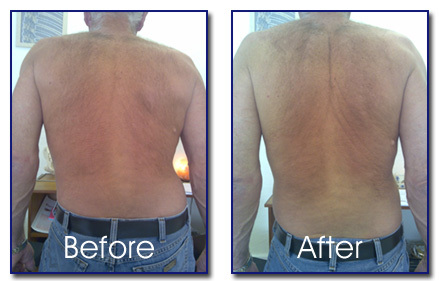 One treatment to adjust his pelvis and allow his body to deal with the strain brings about immediate relief and a very obvious improvement in his posture. Over the next few days his posture should return to normal. This patient attended complaining of pain in her right buttock. Notice how her right pelvis is higher than the left and look at the gap between her arms and her waist. Osteopaths consider your pelvis to be your foundation and if it is imbalanced it can leave you vulnerable to all manner of problems. After her first treatment there was already a dramatic difference. It is not yet perfect but further treatments led to a complete cure of her problem. This fit young man was complaining of lower back ache from having to stand and work at a desk which is designed for sitting. His bosses insisted he had to stand and this began to cause him trouble. He was also suffering from anxiety attacks, evidence of which can be seen in the way his shoulder blades are riding forwards over his rib cage, leading to a slightly depressive posture. There is also a slight curve in his spine. After treatment his shoulder blades are in a much healthier position with better muscle tone in his shoulder girdle and his spine is now straight. His symptoms resolved very quickly.